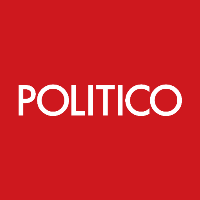 POLITICO announces Carrie Budoff Brown has been named editor of the prestigious political magazine. She will take over the role in late November 2016, moving up from managing editor of POLITICO Europe. Budoff Brown will be replacing Susan Glasser, who has filled the role since 2013. Glasser plans to step down after the 2016 US presidential election, when she will move to Jerusalem and serve as Politico’s chief foreign affairs columnist. Follow POLITICO on Twitter.